The definition of good food is created at the Ranch Hand. It’s down home Western Cooking served up with a healthy dose of smiles. OUR PANCAKES ARE WORTH IT! 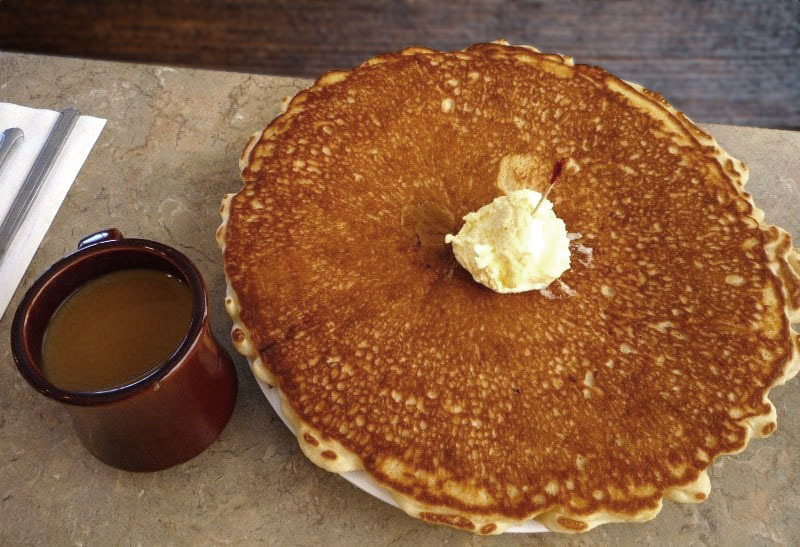 Be sure to order one of our Famous Pancakes. We guarantee that you will not leave hungry. We’ve been serving homemade food since 1981 so we must be doing something right! It was voted Best Breakfast in American by America’s truck drivers. Our pancakes are famous nation wide along with our eye popping homemade cinammon rolls. If you’re really hungy our platter sized homemade chicken fried steak will fill you! We feature a different soup made in our kitchen every day with the salad bar. Hamburgers are made with 100% Angus beef and all of our steaks are cut fresh from our local butcher. Prime rib is served every Friday and Saturday in addition to our regular menu.